How much the customer is going to pay with this particular payment on a particular order. In the common case, a customer will pay for the entire order total using only a single payment (1 credit card) but you might want to support a customer paying for items with both a credit card and a gift card, or multiple gift cards or even multiple credit cards. ultimately complete the order. This causes issues if you intend to capture multiple credit card payments, and a more customized solution is needed. A transaction represent a state or modification for a particular payment. For instance, a customer might say that they intend to pay for an order with $20 from a credit card (which would be an OrderPayment) but then actually authorizing or capturing the card would occur within a transaction. In previous versions of Broadleaf, there was a concept of a payment workflow, payment activities and payment modules. The payment workflow was invoked inside of the checkout workflow, coupling those concepts very close together. We have since split payments into a process that should occur prior to invoking the checkout workflow. The only part that happens within the checkout workflow is an activity that ensures that the entire order has been paid for and attempts to confirm any unconfirmed transactions. Entities that implement the Referenced interface (GiftCardPayment, CreditCardPayment, BankAccountPayment) are designed to be stored in separate database with proper PCI considerations taken into account in order to store customer credit cards. This is not something that we would normally recommend as the PCI auditing process can be difficult and expensive and 99% of the time you don't need it. If the requirement is really to just allow customers to save their credit card information, some external payment gateways have a "vault" feature where the customer credit card still never hits your server. If you would still like to store sensitive payment information, then you should be utilizing the SecurePaymentService to create and store the sensitive data. Under the covers, this will persist the above entities into the blSecurePU persistence unit which is separated from all of your other entities. To link the secure payment information to an Order Payment you can use the referenceNumber property on both of the entities. 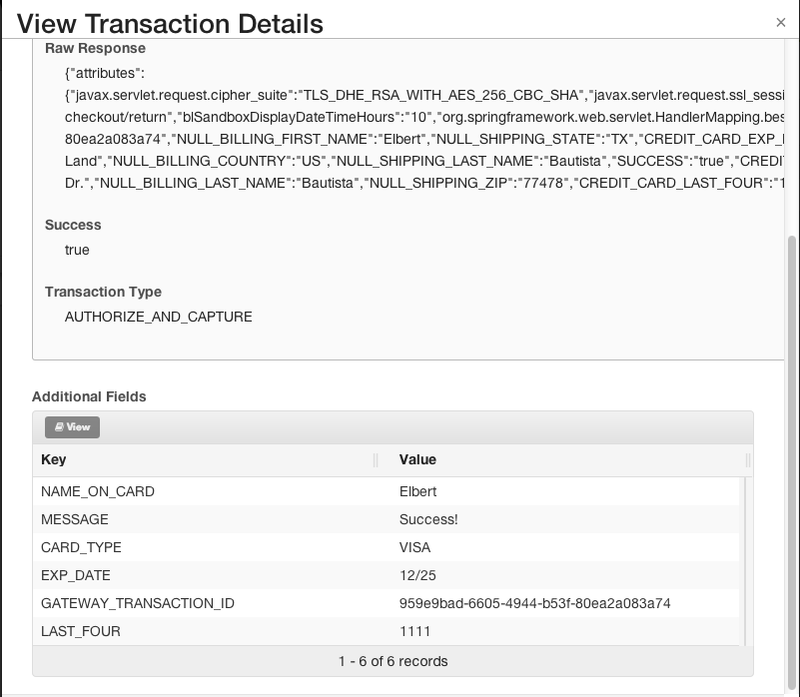 This provides a soft link between the insecure OrderPayment entity and the secure Referenced entity to allow you to inspect how the customer actually paid for the order.